Below you can view all the homes for sale in the Middlebrooke subdivision located in Canton Georgia. 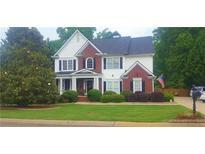 Listings in Middlebrooke are updated daily from data we receive from the Atlanta multiple listing service. To learn more about any of these homes or to receive custom notifications when a new property is listed for sale in Middlebrooke, give us a call at 404-998-4112. Level, Fenced Back Yard Has Beautiful Slate Patio W/ Pergola. Active Swim/Tennis Community. MLS#6535490. Atlanta Communities. Neighborhood Amenities Include Pool, Tennis & Playground. New Roof Installed Feb 2019. MLS#6529518. Re/Max Town And Country. Come See This One, Call For Private Showing! MLS#6122987. Solid Source Realty Ga, Llc..